Terry D. Taylor is President & CEO of Global Genesis, and has worked successfully with small non-profits to international Fortune 500 entities, in all areas of the globe and with multi-cultural teams. Terry studied educational and social psychology as an undergraduate and graduate at Stanford University, and set out to use his skills to change the world. He is particularly fascinated with the psychology of change, as well as human communication and working relationships that result in change. After some time working with the Bay Group, an international change consulting company, Terry founded Global Genesis, and here specializes in corporate training, coaching, and consulting in the arenas of negotiations, conflict resolution, high performance teamwork and strategic planning. Terry developed an approach to negotiations that is used worldwide and assists people in achieving strength in a negotiation using openness and emotions to accomplish win/win outcomes. He has also helped organizations develop stable and highly performing teams, assisting them in development of leadership and supporting individuals in their personal growth. Some of his most unique skills are a.) helping teams and individuals see how their situations relate to the larger picture they are involved in, b.) supporting people in making their own best choice, and c.) bringing their personal best to the surface. 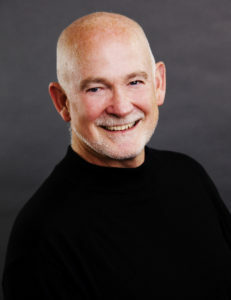 Terry is a founding member of CircadiaOne, a consulting group dedicated to sustainable change. Services have been delivered in over 60 countries worldwide. Terry is also proud to have served on the Board of Directors responsible for the first Green MBA program in the U.S. as well as the Board of the Leadership Institute for Ecology and the Economy, where he became a fellow in 2008. He is one of the founders of the Sustainable Enterprise Conference, as well as a successful and much demanded speaker. Many times circumnavigating the globe, his travel has transformed him into a world adventurer. A daring spirit, he has had extreme experiences in caves deep beneath the ocean surface, hang gliders gone awry, and motorcycling throughout North America. His luck and adventures are fodder for his great storytelling.